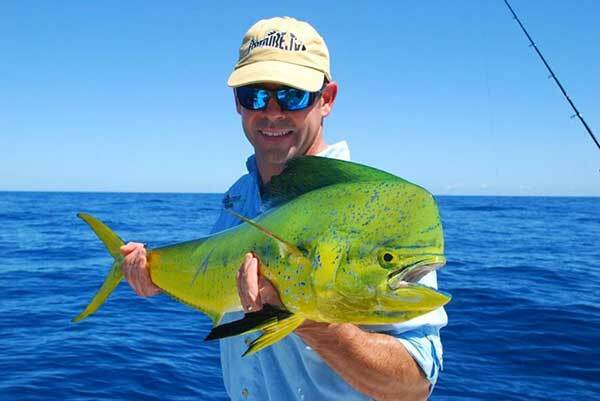 We were guided by Brandon King, one of the young fishing guides making a name for himself as one of the top Indian Ocean spinning and fly-fishing guides around. We stayed at their guesthouse on Nosy Sakatia, an island right next to Nosy Be'. The guesthouse is small and personal, sleeping six guests, and we were looked after like kings. 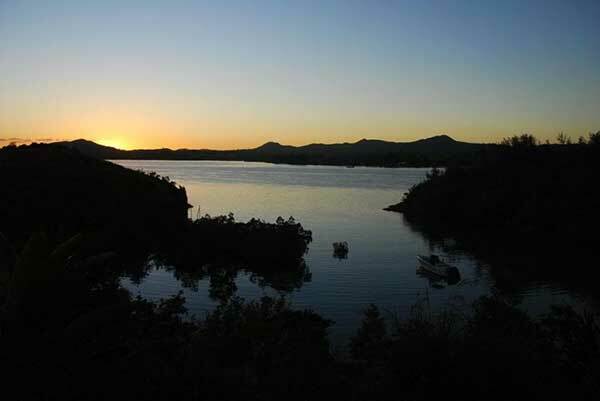 Enjoy the photo taken from the balcony of the guesthouse in the early morning, showing the view of the secluded little bay where the boat is moored, beautiful! The boat that the guys have is ideally laid out for spinning from, with plenty of deck space. We had four anglers fishing and had plenty of space. 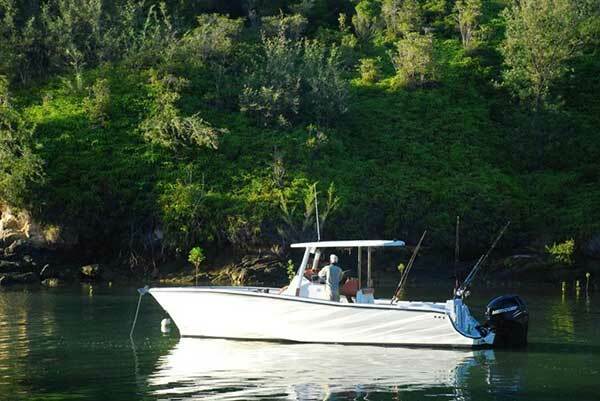 It is driven by two 150hp Mercury four stroke motors, and got us to our fishing spots quickly and comfortably. My first fish of the trip was a sailfish, that I caught spinning from the boat with a 2 ounce Bimini Chisel popper, rigged with a single 9/0 7264OB assist hook from the back ring. The sailie grabbed it three times, getting hooked on the third attempt. The assist hook gave me a solid hookup, and despite some serious head shaking by the sailie and some spectacular jumps in an attempt to rid itself of the hook, it stayed hooked up. I was using light tackle, with 20lb Power Pro Super 8 Slick braid and a 50lb leader. All went well and I landed the fish. Unfortunately the only still photos we have are of the fish in the water close to the boat, as once it was landed we all got into TV mode, and put away the still cameras. We got some nice GT's on Poppers and stickbaits. Jigstar had supplied us with some of their excellent range, including the GT Mania poppers, which are truly world class, due to the size disturbance in the water and the narrow body behind the big head, which gives a really good chance for a solid hook up. We also did well with my other personal favourite the Ulua stickbaits. 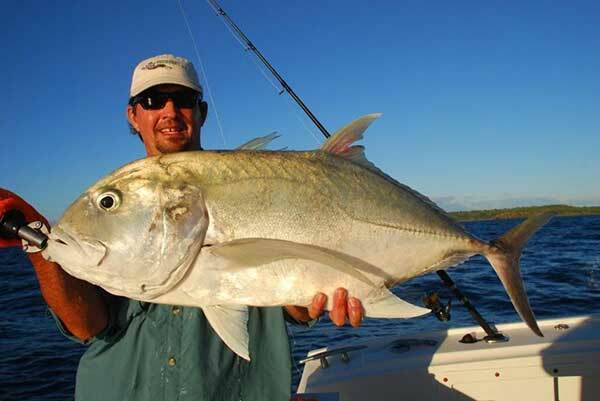 We were using the 120 size, which were ideal for the fish in Madagascar. Once again we didn't get enough still pics of the better GT's due to the filming, but here is a pic of guest angler, Colin Parker with a medium sized GT caught one afternoon. The area is spectacular, with some pretty little islands, and plenty of reefs to explore. 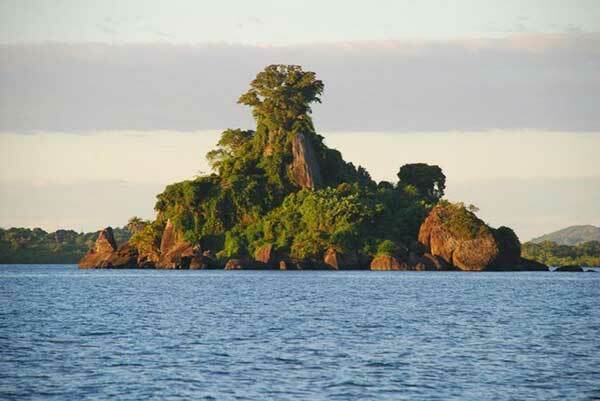 Here is a pic of an island with some Baobab trees growing on it, which we passed every day on our way out fishing. 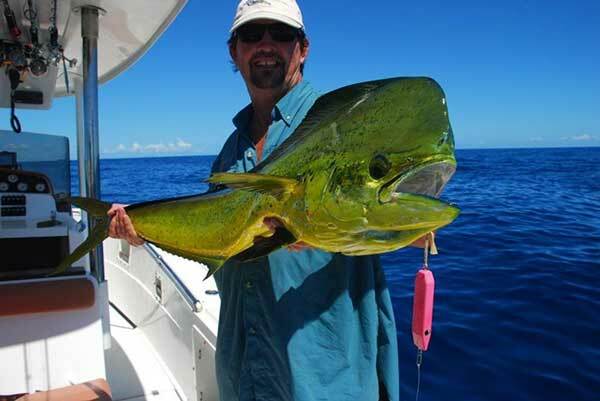 We also got stuck into some nice Dorado, spinning from the boat. 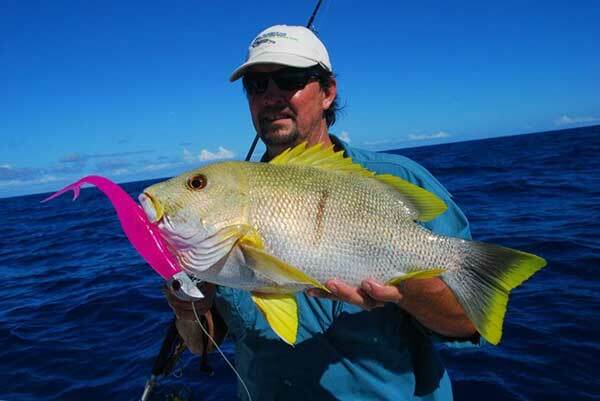 Lures that were working well for these exciting fish on light tackle were 2 ounce Bimini chisel plugs, Onde Ondas, and Rapala XRap Walks 13cm, all rigged with single hooks. We found them along current lines, particularly where there was some flotsam or a scum line. They were in packs and gave us a great time on the light tackle. 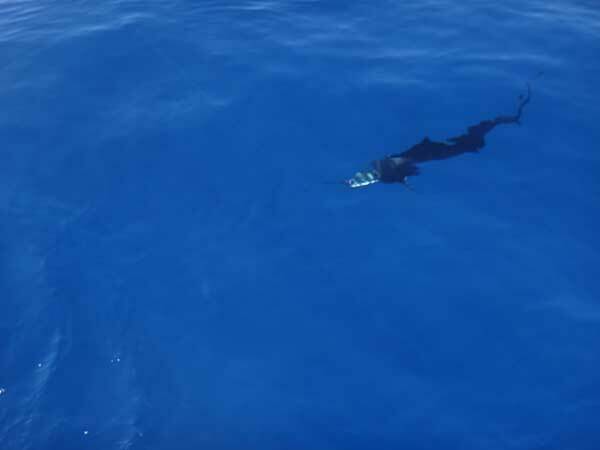 We got some doggies, though only managed to land the smaller ones as there was a bit of an infestation of sharks out at Castor banks at the time, and we were heavily taxed. This was quite frustrating, and according to Brandon, was quite unusual. The wahoo were also present, and we lost a couple, sadly not landing one on this trip. We landed some lovely specimens of reef fish on jigs, and although these were never our target, they make for some colourful pictures and some of them put up a stern fight on lighter dropshotting tackle. 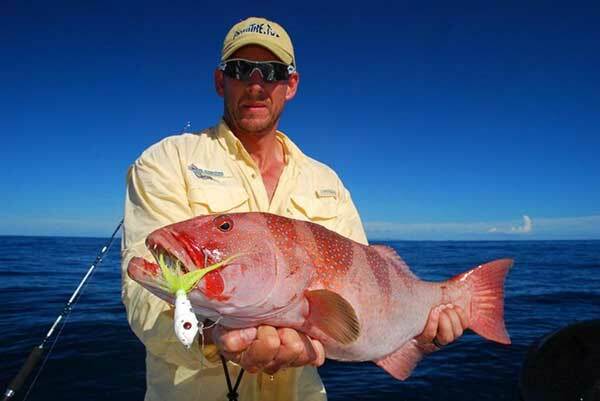 Here is a pic of a lovely speckled snapper that Colin caught on a big McArthy dropshot. 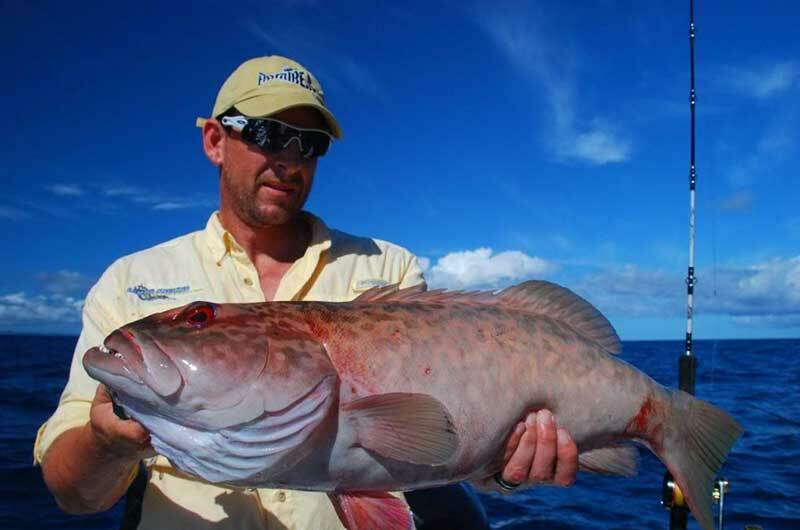 His big drop shot also accounted for some lovely coral grouper. These are one of the most aggressive species of reef fish in the area, and will quickly pounce on any lure dropped down into their zone. They are roving predators that hunt just above the reef, unlike most other grouper species, which are ambush hunters, rushing out from cover. Here is a pic of another guest angler, John Justus, from Cape Town with a Coral grouper that he caught on a bucktail jig, John was absolutely smashing the fish with his bucktails. One thing about Madagascar is that if you do that sort of fishing you are likely to encounter a wide variety of species. 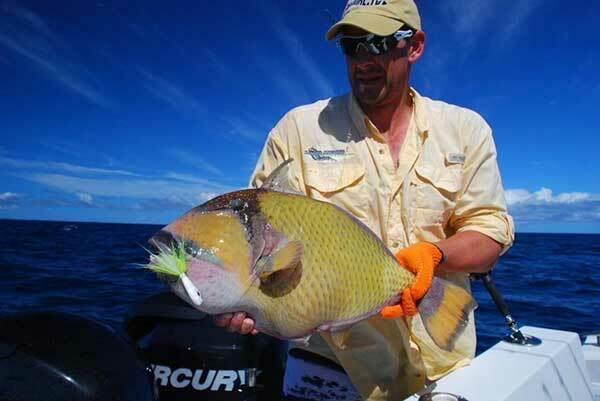 John also made this highly unusual catch on a Predator bucktail, a 5kg Titan triggerfish. These fish are better known as targets on the flats, where fly anglers stalk them and cast delicate presentations to them. This is the first one that I have seen caught on a bucktal jig off a boat! And yet another species of reef fish for John, the Marbled coral grouper. 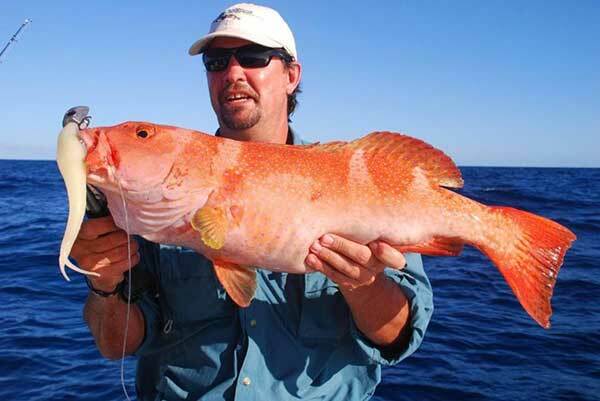 This is a close relative of the Coral grouper that we caught plenty of, yet not as common. All in all it was a great trip. We had to work pretty hard in some extreme heat for our fish. The fishing was slow in Madagascar that week (by their standards), we chatted to guys on the plane who had fished with other operators in the area such as Bossi adventures and Tropical fishing, and they all had a slow week. We got some great fish though, and I definitely look forward to going back to fish with Madagascar Fishing Adventures. Their package is the most affordable one that I know of that offers a chance at GT's, Doggies, Sailies and a huge variety of other species. To end off with, here is a pic of our hard working guide, Brandon King. This guy really pulls out all the stops to get his clients the fish!